Tactile Tartan. 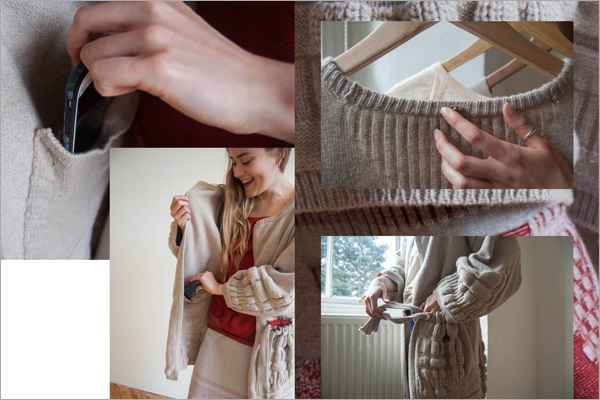 An inclusive approach to designing a perennial knitwear collection accessible to those who are visually impaired. 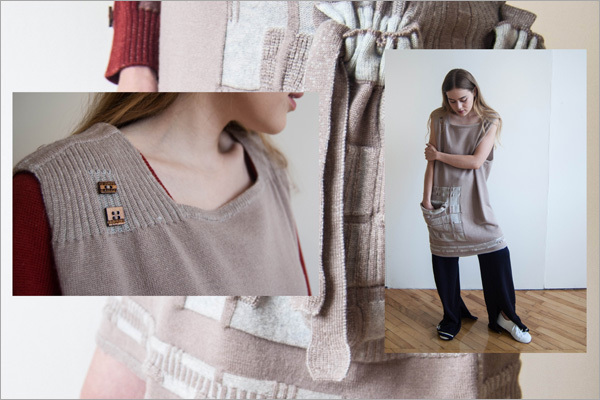 The aim of this project was to create a knitwear collection which is trans-seasonal and accessible to those with visual impairments (including the integration of the coding system Feelipa), inspired by Tactile Tartan and Feelipa. 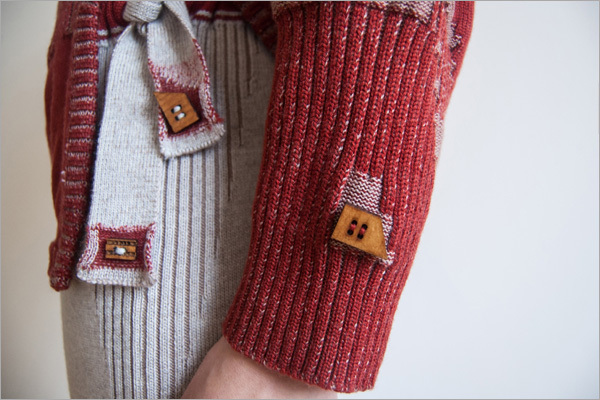 A cohesive, 7-piece collection of easy wear, functional and accessible knitted garments were produced, all of which include wooden Feelipa buttons for colour identification. 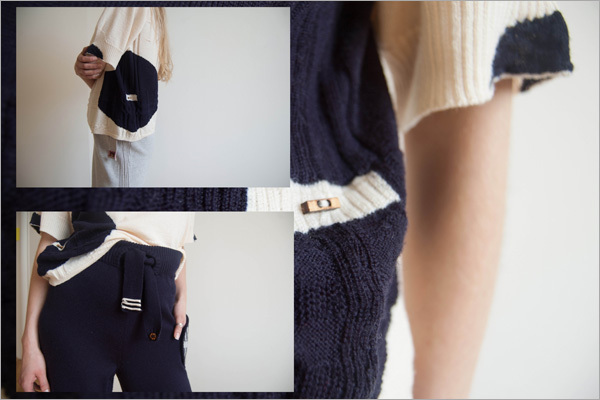 In response to focus groups and contemporary trend research, the garments silhouette and functional features were inspired by luxe leisurewear, providing the wearer with easy fastenings, comfortable fit and the option to layer in cooler months. 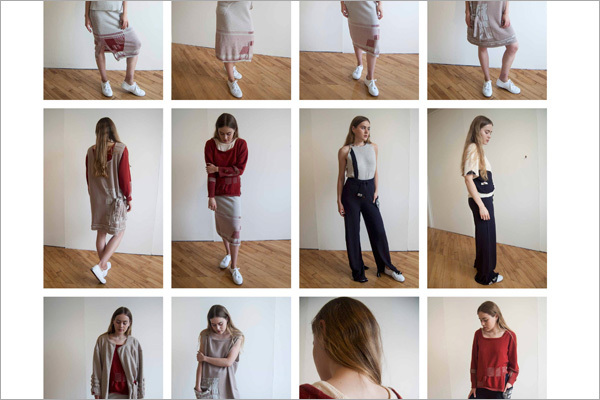 Boxy, unisex fit, muted colour palette and wool yarns means the garments can be used throughout the year, potentially answering the consumers need for a perennial and sustainable approach to dressing. 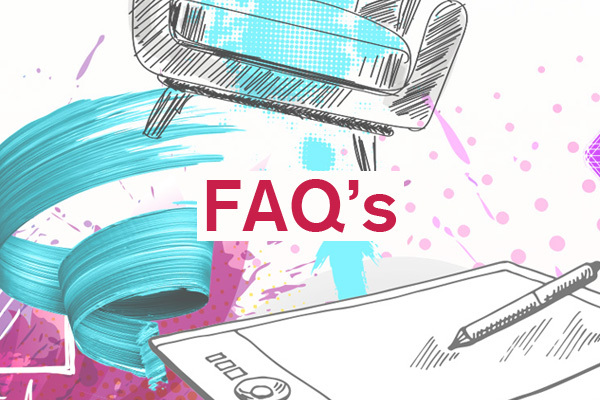 The wooden Feelipa buttons developed to communicate garments colour, directly provide answers to the suggestions raised in the focus groups and follow current post purchase methods of coding garments, as well as providing a more aesthetically successful and widely accessible solution.